A great start to the year in January and so now I move into deep maintenance phase. As of this writing, I have worked out 302 consecutive days. All new territory and it now starting to feel familiar. I laid off the guitar playing for about 45 days now and so I will be starting it back up. I will have to make a few adjustments to accommodate, because I think I might have a bit too much on my plate. 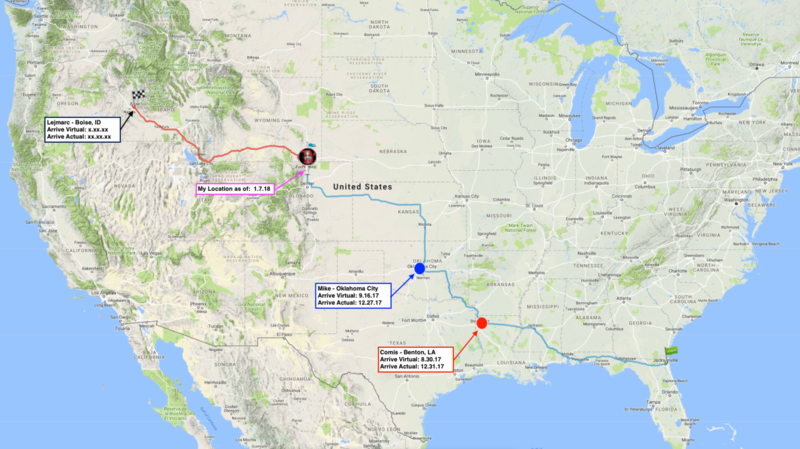 I also make significant push to Idaho and doing and while I have been marking time with the Garmin Step Challenge (sticking at the 85k mark) and doing fine there, I have started a couples challenge with some family couples. Don’t know how well that will workout yet, but I will give it a go. (Kept from previous foreword) – Additionally, I have added a couple layers of complexity or demand to my workout. First, I am religiously sticking to DareBee and the Daily Dare; I am also, keeping the preliminaries. Second, I have added a consecutive component – so, starting with the end of IronBorn (9 April 2017), I have worked consecutively. I intend to push for 60 straight day, then see if I can get to 90. So far I am enjoying it and my body seems to be rising to the occasion. I caught the flu a few day before the end of the last phase (around May 2017) – I worked through it and was back up in only a couple of days. It appears push through and forcing my body to continue working, I was able to push the flu out of my way. I am also continuing my virtual push to OKC via Benton. I am really enjoying that but I will have to pick up the mileage here in the next phase as I am running out of time. Keep leaning forward. – DareBee Exercise (Day 30): ” Bruce Lee Tribute” – At first, this appeared quite intimidating, but once you summon the master, no worries – Check!. – Daily Dare (231): “40 Balance Back Kicks“ – Pretty easy, no issues getting through these at all – Check!. – Baseline: Easy day. Just pushed through these without issue – Check!. – Distance: Added 8.50 mi to my total on my way to Boise. Rest: I will get 6 hours of sleep each night! Ciao! – Daily Dare (232): “40 Folded Crunches“ – Not that bad. It was a bit of a struggle getting legs to stay down, but it went ok – Check!. – DareBee Exercise (Day 29): ” Practice” – Not too bad. Lots of kicks but I got through it no issues – Check!. – Daily Dare (230): “60 Second Jumping Jacks” – Oh boy; easy start to the month, here comes Burpees and Lunges for the rest of the month – Check!. – Baseline: Not feeling so tired today, just pushed through without issues – Check!. – Distance: Added 8.90 mi to my total on my way to Boise. Rest: I will get 6 hours of sleep each night! Ciao! – Summary: Feel pretty tired today but I think I got through my workout in under 2 hours. I will be cutting back on step/mileage here in a bit. – DareBee Exercise (Day 27): ” Stretching” – Really took some time to get through this. It was well worth it though – Check!. – Daily Dare (229): “30 Cossack Squats“ – Hellooo groin. Did this after showing and all; felt a bit tight, but I’ll be alright – Check!. – Baseline: Although I have feeling a bit tired, I had no issues pushing through these – Check!. – Distance: Added 9.60 mi to my total on my way to Boise. Rest: I will get 6 hours of sleep each night! Ciao! – Summary: Well, that felt like a long drawn out situation. Got through it without issue tho. On my way to a concert babee. – DareBee Exercise (Day 27): ” 3000 Punches” – I still have 600 to go, but I think i can safely say I have this wrapped up – Check!. – Daily Dare (228): “60 Sec Calf Raises“ – Really not that bad of an exercise – Check!. – Baseline: Matter of fact. I love my baseline now; no issues – Check!. – Distance: Added 9.40 mi to my total on my way to Boise. Rest: I will get 6 hours of sleep each night! Ciao! – Summary: Sort weird. Got done relatively early but it felt like it dragged on for a while. – DareBee Exercise (Day 26): ” Speed” – Got through this quite easily without much of a challenge. I did it pretty fast too – Check!. – Daily Dare (227): “60 Sec Crunches” – So fitting for my birthday; I love this stuff – Check!. – Baseline: Pretty routine, just hit the number and I was out; no issues – Ck!. – Distance: Added 8.70 mi to my total on my way to Boise. Rest: I will get 6 hours of sleep each night! Ciao! – Summary: I liked my workout day today. For a birthday it was cool. – DareBee Exercise (Day 25): ” The Great Combo” – This was actually a pretty good workout; took it easy – Check!. – Daily Dare (226): “40 Leg Raises“ – Really? For my Birthday? Not bragging but I do those with my eyes closed – Check!. – Baseline: No issues; I just worked it in smoothly with the rest of the routine – Check!. – Distance: Added 8.10 mi to my total on my way to Boise. Rest: I will get 6 hours of sleep each night! Ciao! – Summary: Dag this went on forever today. Actually, I took my own sweet time. Just getting some soft time lately, no rust…enjoy the now moment. – DareBee Exercise (Day 22): ” Balance” – Not too bad on the balance this time around realize a little bit of a trick to maintain balance oh yeah – Check!. – Daily Dare (225): “2-min Wall Sit Back” – After 2 years, and almost a sustained year of DareBee can I say, I have conquered this exercise – Check!. – Baseline: Knock this out without issue. Have a bit of a pain in my left shoulder, making pushups a bit uncomfortable; will watch it – Check!. – Summary: It is 1157 and I am complete in my workout for the day – this means, I have taken care of the body, now the body will take care of me. – DareBee Exercise (Day 22): ” Fists of Fury” – Long a little intense, but just right; I loved it – Check!. – Daily Dare (224): “20 Back Extensions” – Not much fanfare here, but got it done – Check!. – Baseline: Not an issue at all, just knock it out with a little help from Fist of Fury – Checkk!. – Distance: Added 10.40 mi to my total on my way to Boise. Rest: I will get 6 hours of sleep each night! Ciao! – DareBee Exercise (Day 22): ” Practice” – I like this practice today again. Not that intense but enough of a challenge however – Check!. – Daily Dare (223): “60 Second Toe Tap Hops“ – Oh yeah this got my heart pumping; I love it – Check!. – Baseline: Got a 25% help from the practice session, so that was pretty good – Check!. – Distance: Added 8.40 mi to my total on my way to Boise. Rest: I will get 6 hours of sleep each night! Ciao! – Summary: Finished up a little later than I planned to but not too bad. Felt weak at first but then my energy level picked up. – DareBee Exercise (Day 21): ” Jackie Chan Tribute” – I liked this tribute to Jackie. It tapped me but not that bad, was pretty good – Check!. – Daily Dare (222): “20 Basic Burpee w/ a Jump” – This can be pretty intense. I wouldn’t say it was easy at all – Check!. – Baseline: No issues here, knocked it out as usual and got it done – Check!. – Distance: Added 9.30 mi to my total on my way to Boise. Rest: I will get 6 hours of sleep each night! Ciao! – Summary: Relatively easy stretching day. Not too much stress just getting it done. – DareBee Exercise (Day 20): ” Stretching” – Not too much of an issue with this stretching regiment. Probably could have done a bit more liked – Check!. – Daily Dare (221): “60 Sec Tucked in Side Plank” – This swas sort of fun but not easy at all – Check!. – Baseline: Another great day of making the donuts with no issue – Check!. – Summary: Not too bad workout today. Don’t want to get ahead of myself but it was not that difficult. – DareBee Exercise (Day 19): ” Endurance” – I liked it because it was still sort of a rest after a few very intense days – Check!. – Daily Dare (220): “20 Pop up Tripods“ – Very interesting. Never this any of this before. Lot of knee popping sounds – Check!. – Baseline: Just pushed through without issue – Check!. – Distance: Added 9.70 mi to my total on my way to Boise. Rest: I will get 6 hours of sleep each night! Ciao! – Summary: Waited until late in the evening but that no matter, all I had was 2000 punches. It was tough, should not have underestimated. – DareBee Exercise (Day 18): ” 2000 Punches” – I think this is the most punches I have ever thrown. I feel like kick is coming up will be ready – Check!. – Daily Dare (219): “60 Squats“ – Did not get a chance to knock this out in my usual flow yesterday so I took care of it on the day of – Check!. – Baseline: No issues at all here, just imixed it in with my regulars – Check!. – Distance: Added 9.00 mi to my total on my way to Boise. Rest: I will get 6 hours of sleep each night! Ciao! – Summary: Really enjoyed working out outside in the field. It was very intense with lots of punches and kicks. Hot as hell too tho. – DareBee Exercise (Day 17): ” Practice” – I rather liked this regiment today. It was intense but really enjoyable and working out to latin music – Check!. – Daily Dare (218): “60 Sec Swimmers“ – Oh yeah…pretty intense – had charlie horse sneak up on me at the end; I was able to fend it off – Check!. – Baseline: Great workout all around today. I really liked being outside and knocking out these baselines – Check!. – Distance: Added 7.10 mi to my total on my way to Boise. Rest: I will get 6 hours of sleep each night! Ciao! – Summary: Ok day. Got done relatively early since I had to go watch The Black Panther. – DareBee Exercise (Day 16): ” Balance” – This continues to plague me. Balancing on left is good, but the right is just not happening smoothly – Check!. – Daily Dare (217): “10 Cross Tricep Extensions” – Had to do it after I was finished with main workout, but got it done without issue – Check!. – Baseline: Knocked out these pretty early without issue – Check!. – Distance: Added 10.00 mi to my total on my way to Boise. Rest: I will get 6 hours of sleep each night! Ciao! – Summary: Kind of a weird day. I was sort of pushing it off as much but then time caught up with me and I had to get it done. It was not easy. – DareBee Exercise (Day 15): ” Power” – This is not an easy workout. I remember thinking that this was among the hardest I have done – Check!. – Daily Dare (216): “40 Single Leg Bridges” – Had to do it after I was finished with main workout, but got it done without issue – Check!. – Baseline: Pushed through this without issue – Check!. – Distance: Added 7.30 mi to my total on my way to Boise. Rest: I will get 6 hours of sleep each night! Ciao! – Summary: Pretty good workout day, got through it without any issues. Had to break it up due to taking wife out for valentines. – DareBee Exercise (Day 14): ” Chuck Norris Tribute” – Not too back of a workout. Too a bit of a time to get through but pretty good – Check!. – Daily Dare (215): “40 Lunge with Twists” – After 100 squats, these 40 lunges did not go down so easily – Check!. – Baseline: Not much help from Chuck but was able to push through without issue – Check!. – Distance: Added 0.00 mi to my total on my way to Boise. Rest: I will get 6 hours of sleep each night! Ciao! – DareBee Exercise (Day 13): ” Practice” – Good with the right amount of challenge I am ready for today – Check!. – Daily Dare (214): “30 Sec Star Plank” – Not as hard as it would have been a few years ago – the core is golden right now baby – Check!. – Baseline: No issues whatsoever; everything now feel pretty matter of fact – in a good way though – Check!. – Distance: Added 7.23 mi to my total on my way to Boise. Rest: I will get 6 hours of sleep each night! Ciao! – Summary: Awesome workout – pretty straight forward stretching today. Got done early…nuff said. – DareBee Exercise (Day 12): ” Stretching” – Not really that easy since my muscle are a bit tense right now, but got through it without issue – Check!. – Daily Dare (213): “10 Circle Pushups“ – I have been having a bit of pain in the left shoulder, this did not help much – Check!. – Baseline: Just leveraging from energy conserved in stretching, got through these without much fanfare – Check!. – Summary: Outside workout today – it was great. The neighbors made it feel odd, but I had a blast. Lots of latin music to boot. – Daily Dare (212): “40 Thigh Taps“ – Not that bad. I like these exercises, plus it helped my plank baseline too – Check!. – DareBee Exercise (Day 10): ” Close Contact” – This was actually pretty fun workout. Not hard but long and thorough – Check!. – Baseline: Pushed through with much fun today – Check!. – Distance: Added 7.29 mi to my total on my way to Boise. Rest: I will get 6 hours of sleep each night! Ciao! – Summary: Pretty cool workout day, nothing much to say beyond the fact that I got some ran into some really cool workout music. – DareBee Exercise (Day 10): ” 1000 Punch-Challenge)” – Not check pumping but a good break workout. It was kind a long but ok – Check!. – Daily Dare (211): “2 Min Climbers” – Pretty tough. Had to do them after a pretty hard workout earlier today – Check!. – Baseline: Just work it as always with no issues – Check!. – Distance: Added 7.69 mi to my total on my way to Boise. Rest: I will get 6 hours of sleep each night! Ciao! – Summary: It is now 10:50 and I am pretty much done with my workout. Had a monster day on my regular exercise. – DareBee Exercise (Day 9): ” Power” – This was a beast. Working on top of my baseline this had me on my heels from the start; love it – Check!. – Daily Dare (210): “2 Min Leg Extensions“ – These really helped with the rest of my baseline; gave me a rest with kick day off – sort of – Check!. – Baseline: With the level of the regular day today, this was not that easy today. It pushed me to the limit – no issues though – Check!. – Distance: Added 7.40 mi to my total on my way to Boise. Rest: I will get 6 hours of sleep each night! Ciao! – Summary: Pretty light all around day. Not much on the Daily DB front, but the balancing was not easy. – DareBee Exercise (Day 8): ” Balance” – Really hard to do the slow kicks and almost impossible to stand on one leg with eyes closed – Check!. – Daily Dare (209): “40 Side Planks” – These planks helped out quite a bit. A bit of a slight challenge, but no real issue – Check!.. – Baseline: Push thought without any issues; now doing 50s with pushups – no isssues – Check!. – Distance: Added 8.00 mi to my total on my way to Boise. Rest: I will get 6 hours of sleep each night! Ciao! – Summary: Another great early workout day. Not much to say but getting it done. – DareBee Exercise (Day 7): ” Jet Li Tribute” – I am just having a blast with this program. Lots of kicks and punches. Like it very much – Check!. – Daily Dare (208): “30 Plank Jacks“ – I just love jacks of all types. And when you tie it with planks, that just great – Check!. – Baseline: Just excellent push through today no issues – Check!. – Summary: So today , it is now around 1630 and I am totally finished with my workout for the day; finished today in 59.59.7 s. That’s it! – DareBee Exercise (Day 4): ” Speed” – Great workout today again. Lots to do, but with the speed it make it a bit challenging – Check!. – Daily Dare (207): “30 Reverse Grip Push Ups” – Really great push up. Have to be careful because it stresses the shoulder quite a bit – Check!. – Baseline: Just pushed though these without thinking. I am finding baselines not to be so boring anymore – Check!. – Distance: Added 7.24 mi to my total on my way to Boise. Rest: I will get 6 hours of sleep each night! Ciao! – Summary: It is around 1630 now, I am almost finished with my workout for the day; took a break to update my log. Getting down to around 1hr. – DareBee Exercise (Day 4): ” Practice” – Great practice; nothing like first day; massive amounts of punches and kicks – Check!. – Daily Dare (206): “2-min Chest Expansion” – Damn that was not easy. Just realized the “fast as you can” caveat – it brings pain! – Check!. – Baseline: No issues at all with getting through my daily baseline without issue – Check!. – DareBee Exercise (Day 4):“Van Damme Tribute” – Not a real challenging workout, pretty much stretches, but feeling blaah-ish so it sucked – Check!. – Daily Dare (205): “30 Side-to-Side Lunges” – Actually enjoyed this exercise, besides it added to my baseline nicely! – Check!. – Baseline: Took me a while to work through this. The reason again is a miserable feeling post flu-shot – Check!. – Summary: Just having a good time with this workout period. Not too much stress and getting things done in just over an hours. This bodes well. – DareBee Exercise (Day 1):“Power” – Like this workout. It is a full body workout with a lot of movement and fighting techniques – Check!. – Daily Dare (204): “50 Scissors” – Not really much to it – just get it done! – Check!. – Baseline: This is starting to become less and less boring. Now I am changing up the arrangement and tempo and it has made a difference – Check!. – Distance: Added 8.30 mi to my total on my way to Boise. Rest: I will get 6 hours of sleep each night! Ciao! – Summary: Great second day of February. Just gonna take it by storm. I feel like I have been off and now I am just getting back. – DareBee Exercise (Day 1):“Speed” – Much the same as yesterday – lots of punches and kick. I guess this is fighting huh? – Check!. – Daily Dare (203): “40 Forward Bends” – Relatively easy to do. Really fun though – Check!. – Baseline: Not much effort to get the baseline done here. Just pushed through it; actually not really, it did take some effort – Check!. – Summary: Great first day for February. Starting back into a formal program feels a bit weird but I am just in love with the whole working out process. 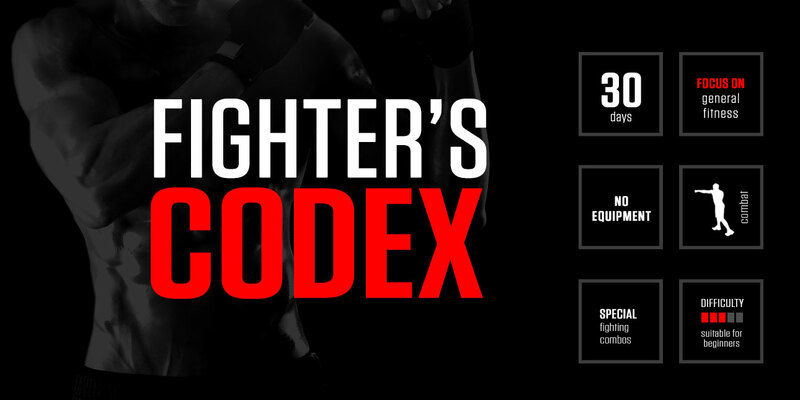 – DareBee Exercise (Day 1):“Fighter Codex-Practice” – Not a bad workout today – tons of kicks and punches, sneaked some baseline in – Check!. – Daily Dare (202): “60 Sec High Knees” – Easy day nothing really to it – Check!. – Baseline: Honestly, baseline has become pretty routine now. Today I did 60 pushups like – what? No really ill-feeling – Check!.